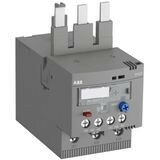 The TF65-33 thermal overload relay is an economic electromechanical protection device for the main circuit. it offers reliable and fast protection for motors in the event of overload or phase failure. 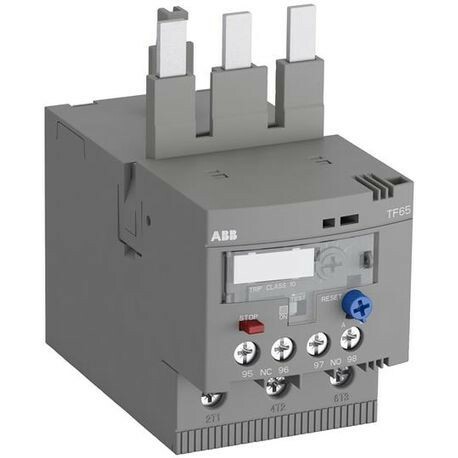 The device has trip class 10. further features are the temperature compensation, trip contact (nc), signal contact (no), automatic- or manUAl reset selectable, trip-free mechanism, stop function and a trip indication. The overload relays are connected directly to the block contactors. single mounting kits are available as accessory.